Syracuse’s rally fell just short. Down 16-12 with 1:46 left, the Orange scored three unanswered goals to pull within one with 23 seconds left. But Hunter Moreland ended Ben Williams’ dominance at the X in the game’s final faceoff, and by the time SU regained possession with eight seconds left, the Orange was too deep in its own territory to attempt a final game-tying shot. With the 16-15 win, Johns Hopkins advanced to the National Semifinal for the first time since the 2008 season. Meanwhile, the senior-laden Syracuse team was left unfilled after a “championship or bust” mandate to begin the season. Syracuse went into half up 7-6, but was outscored 5-1 in an uncharacteristically sloppy third quarter where Syracuse turned the ball over three times and was out-shot 9-4. 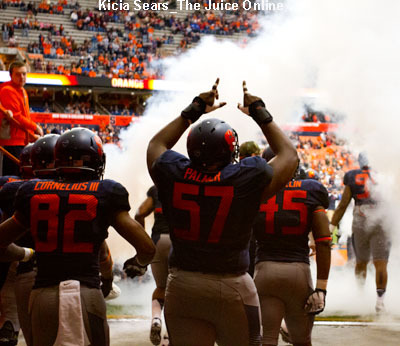 For the game, SU turned the ball over 12 times compared to the Blue Jays’ six turnovers. Hopkins continued its momentum in the fourth quarter, initially outscoring SU 4-2. Shack Stanwick’s goal with 3:50 left gave the Blue Jays a 15-10 lead, and what appeared to be complete control of the game. Instead, SU mounted a furious rally, with Nicky Galasso and Randy Staats scoring unassisted goals to pull SU to within three. After Ryan Brown scored on an empty netter, Kevin Rice scored a pair of goals and Henry Schoonmaker added another to give the Orange a chance to tie. The rally was made possible by Williams, who again dominated at the X, winning 22-of-34 faceoffs, and 11 of the 13 in the final quarter. 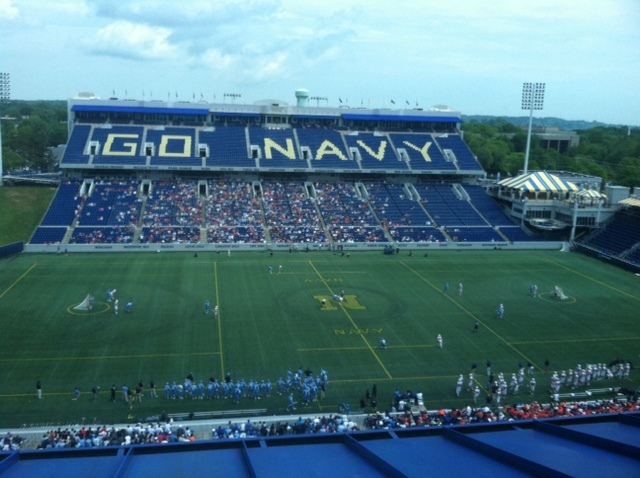 But Williams was unable to corral the final faceoff, and Johns Hopkins ran out the clock. 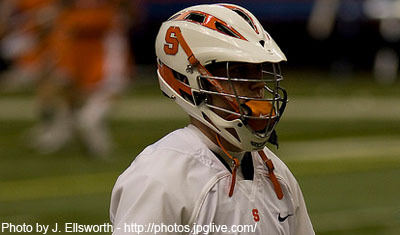 Rice led SU scorers with three goals and four assists, and Dylan Donahue, Galasso and Staats all logged hat tricks. Brothers Shack and Wells Stanwick each had four goals and two helps for the Blue Jays.